Negotiations are underway between Pueblo County, a water conservancy district and environmental protection agencies on one side, and Colorado Springs on the other side, to resolve disputes of many years regarding that city’s defiling of Fountain Creek. The Pueblo Chieftain has obtained court documents stating that the parties in a two-year-old lawsuit are trying to reach an agreement to settle it, instead of pursuing it further in the U.S. District Court for Colorado. Both sides have met three times in recent weeks “to discuss potential resolution of the (lawsuit) without further litigation,” states a court document filed last week at the court in Denver. 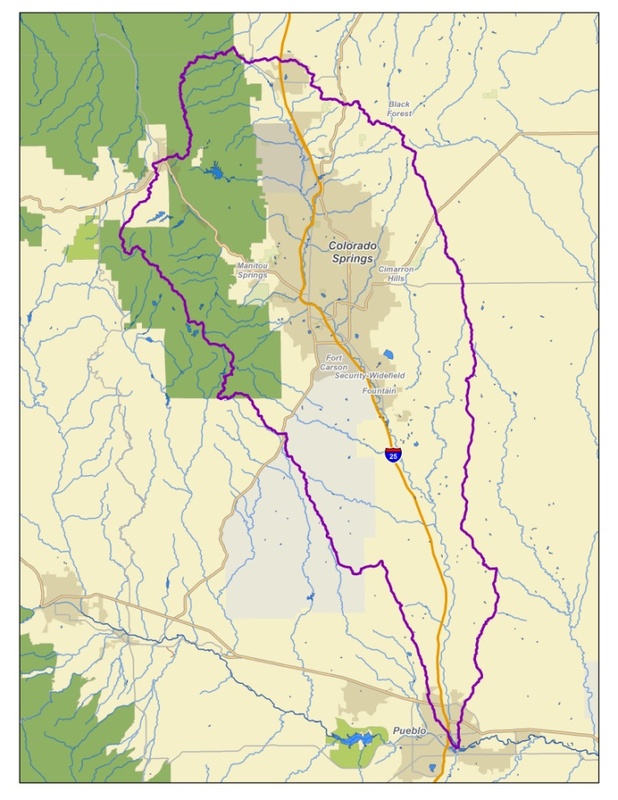 It was filed by Pueblo County commissioners, the Lower Arkansas Water Conservancy District, the U.S. Environmental Protection Agency and the state Department of Public Health and Environment. Those four entities sued Colorado Springs in 2016, claiming the city violated clean water laws by discharging excessive stormwater and pollutants into the creek, which flows through Pueblo County into the Arkansas River at Pueblo. After a trial, the judge overseeing the case decided on Nov. 9 in favor of the four entities that sued. Senior Judge Richard P. Matsch ruled Colorado Springs violated its permit that regulates stormwater discharges into Fountain Creek. The four entities in the court fight with Colorado Springs state in the new court document that the discussions so far “were productive.” They and the city asked the judge to put litigation on hold for three months, to see if they can agree how to remedy the city’s violations. Matsch on Thursday granted the request.